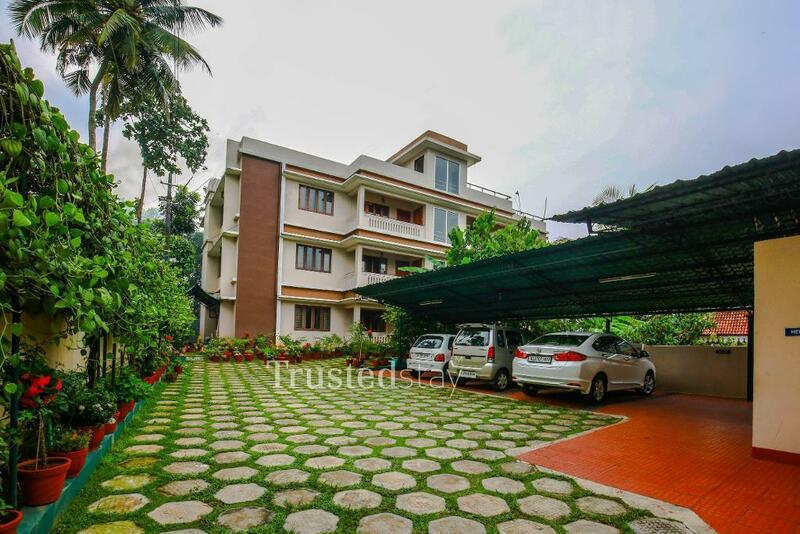 This Service Apartment in Kalamassery Kochi is located near Rajagiri School, close to Salem, Kochi highway, about 2.3 kms from Kalamassery Industrial Estate, about 6.3 kms from Amrita Institute of Medical Sciences, 6km from the IT corridor Kakkanad, about 18 kms from M.G. 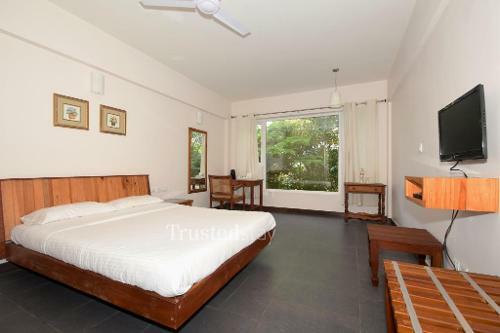 Road, Ernakulam and about 18 kms from Cochin International Airport. 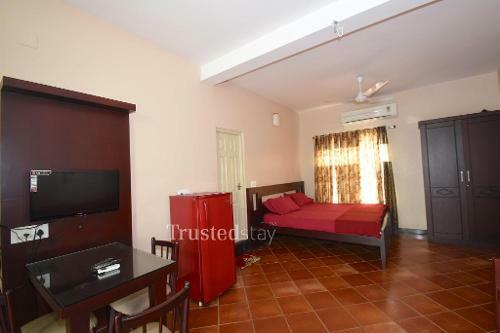 Nearby there are choice of nice dining places like, Hotel Mezban restaurant is 850m away, Hotel Sea Park restaurant is 1.1 kms away, Mirchi Dhaba is 1.9kms away and Ifthar Hotel is about 3.4 kms away from this service apartment. 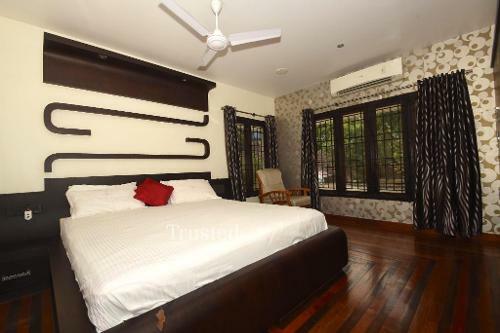 This three storied standalone service apartment building offers a total six independent 3BHK units in two wings, spread in ground, first and second floor, every apartment is fully furnished including kitchen rooms with AC and TV in living area, breakfast and meals can be arranged at extra cost, offered as complete 3BHK apartment for short or long stays.